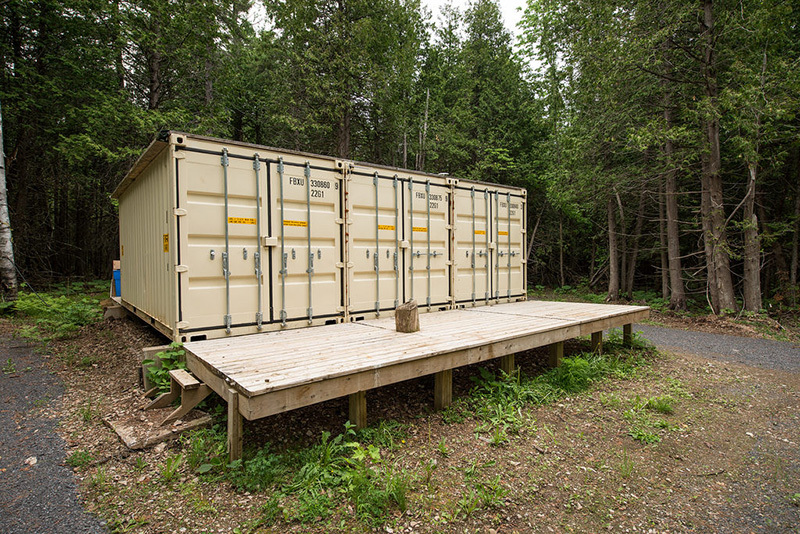 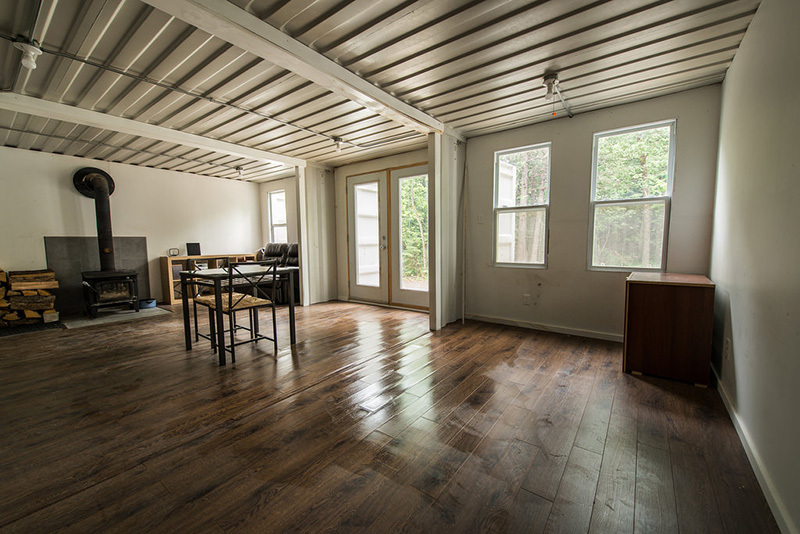 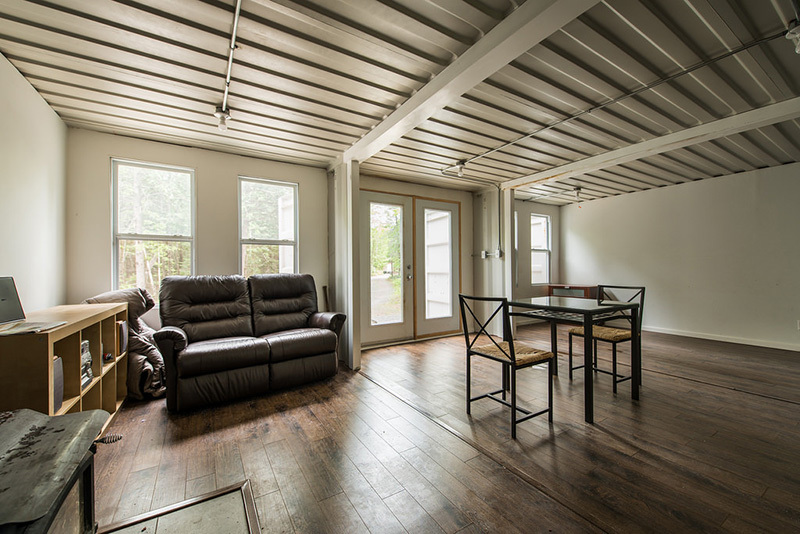 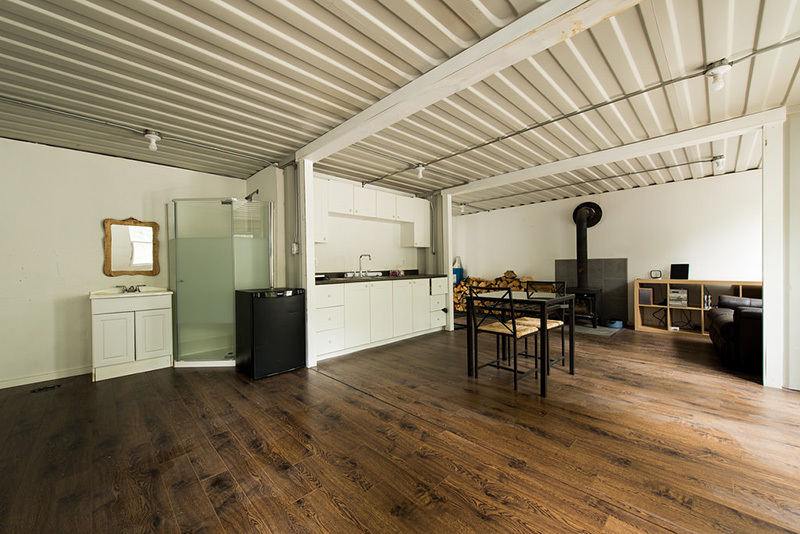 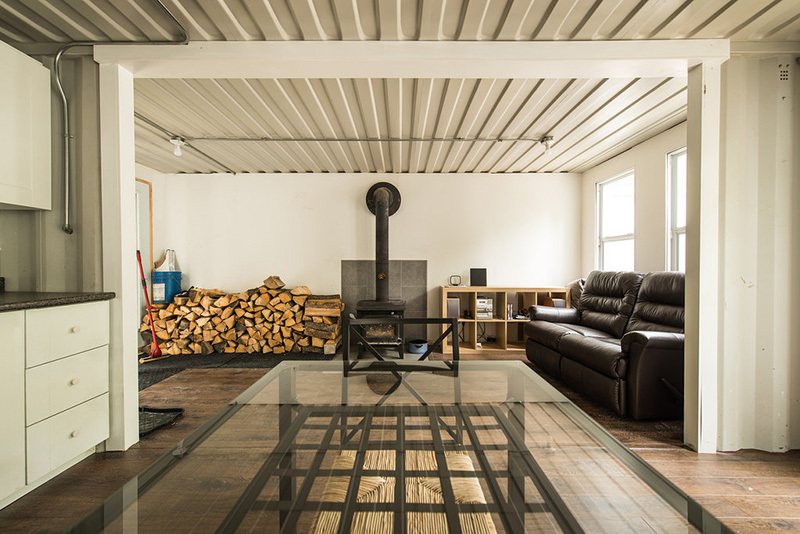 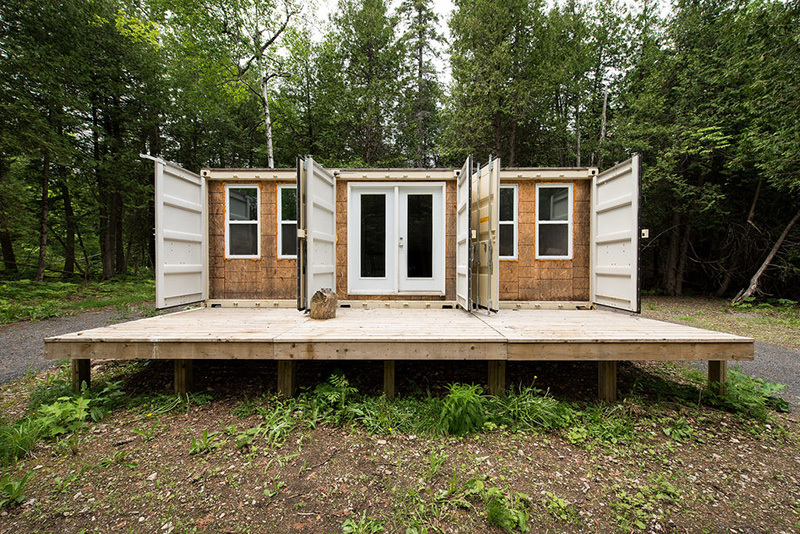 In a very secluded location in Southern Ontario, there's a cabin in the woods made out of three side-by-side shipping containers. 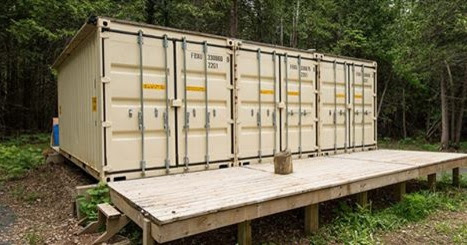 From the outside, it looks like regular containers. 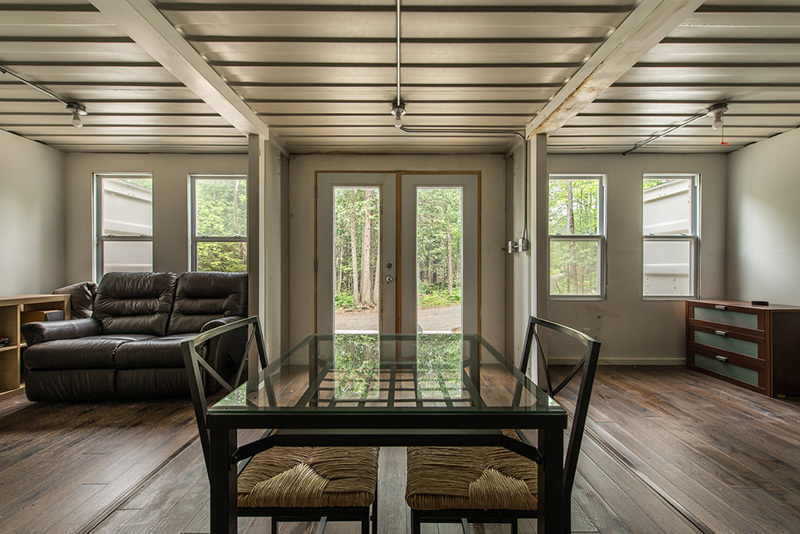 It's equipped with a kitchen, shower, and fireplace. 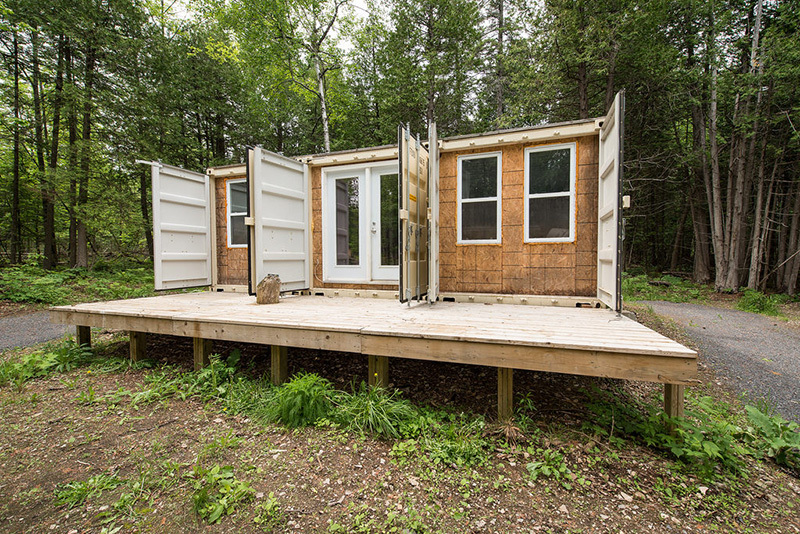 But if you need to use the toilet, there's an outhouse out back.